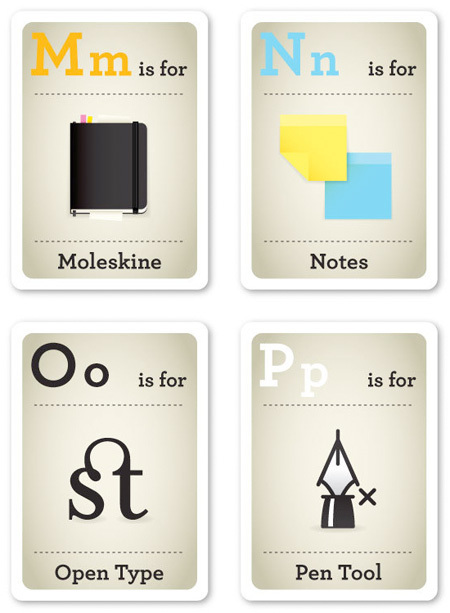 Modern flash cards feature each letter of the alphabet paired with helpful image of Apple computer, DSLR camera, Email, Moleskine sketchbook, Wacom tablet, and other design related tools / products. 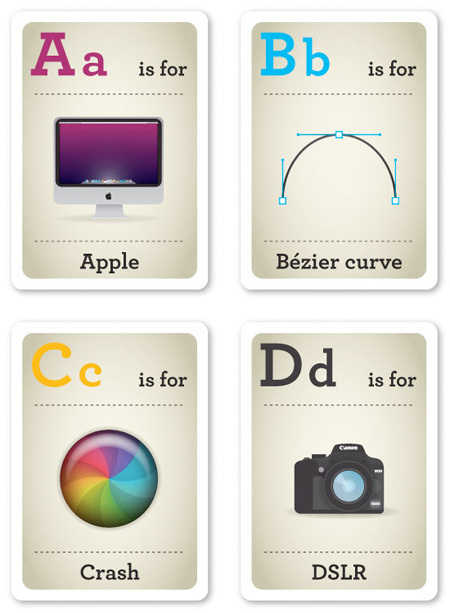 Parents in creative professions can now easily teach the alphabet to their children and train the next generation of graphic designers. I feel bad for the kid whose parents would use these cue cards. ya, this what kids nowadays learn & remember. Knowing how to operate this stuff takes legitimate intelligence and has nothing to do with being a hipster you imbecile. Of course this is hinting at hipster chic, even if it’s tongue in cheek. I’m with Andy. Hipster is as hipster does. This also looks like someone’s Illustrator class project actually. It’s a reference to CMYK which is a color space that some designers use, and generally refers to printing and ink colors. 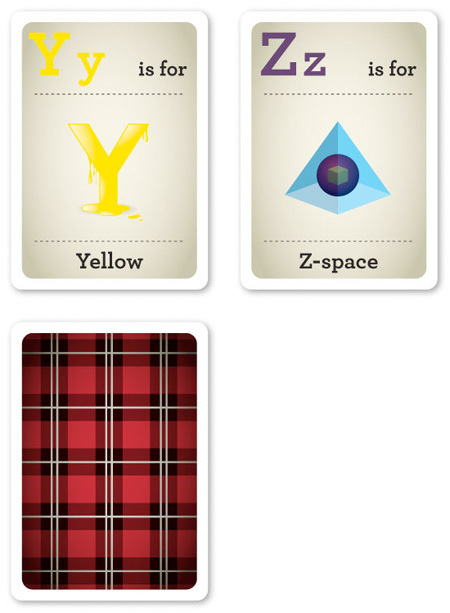 The colors are Cyan, Magenta, Yellow, and Black (which is represented with a K). 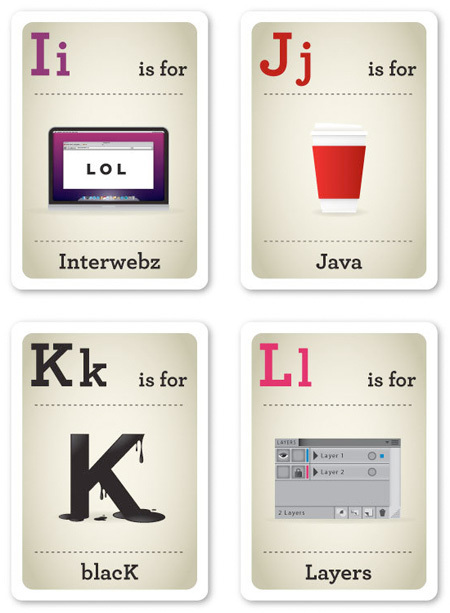 How about K is for Keyboard? 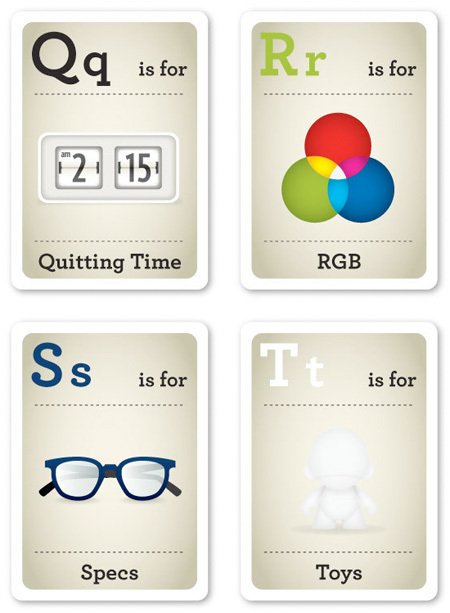 how about C for color wheel of death? Fun for a designer or hipster? Sure. Educational for a child? No. These would raise more questions than they would answer. Of course K is the only one they couldn’t think of something for. Well done Emma Cook :) I had a chuckle at your clever designs. blacK = K, Brilliance! 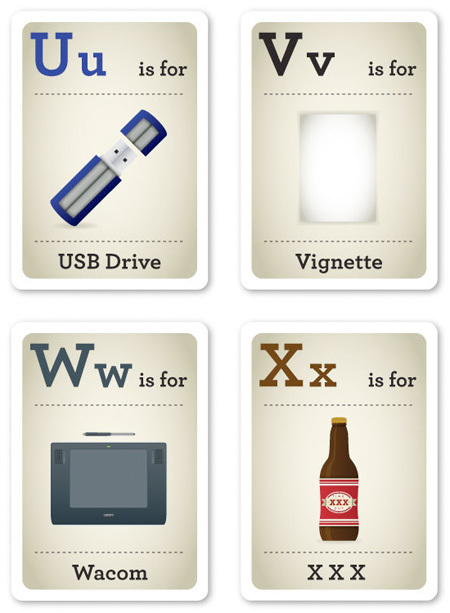 The flashcards are a perfect tongue-in-cheek commentary on the Graphic Designer’s Lifestyle. 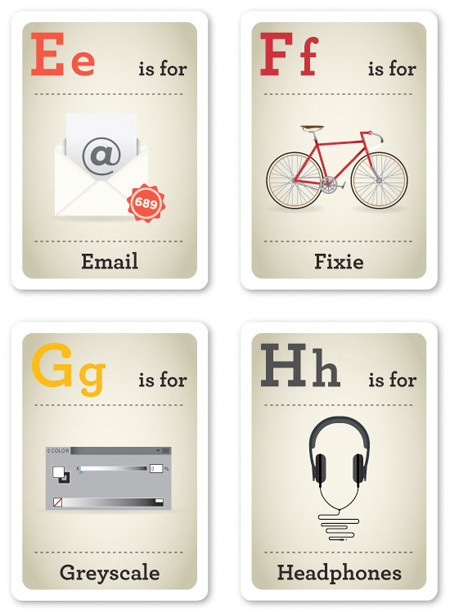 formatting, font, Flash… you had to use FIXIE? that is a lifestyle thing, not a graphic design thing.